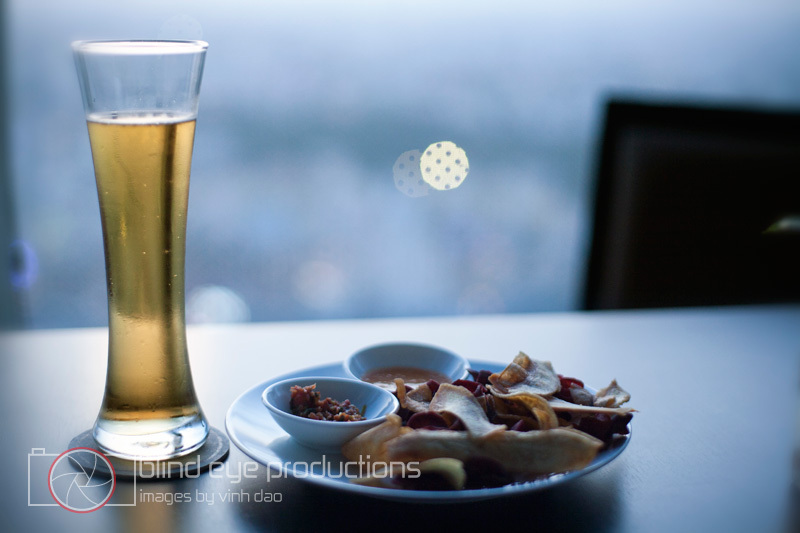 My wife and I spent a week in Ho Chi Minh City just recently, enjoying the culinary delights Vietnam has to offer. We had a great time meeting new people along with some old friends and of course, ate tons of great food. 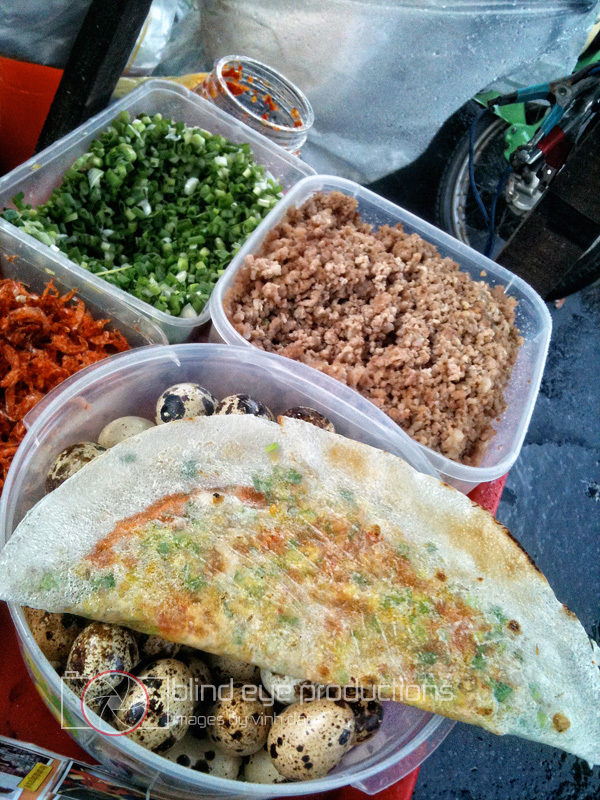 One memorable item we ate (and we ate alot of it) was Banh Trang Nuong or what I ended up naming the Vietnamese Grilled Taco. 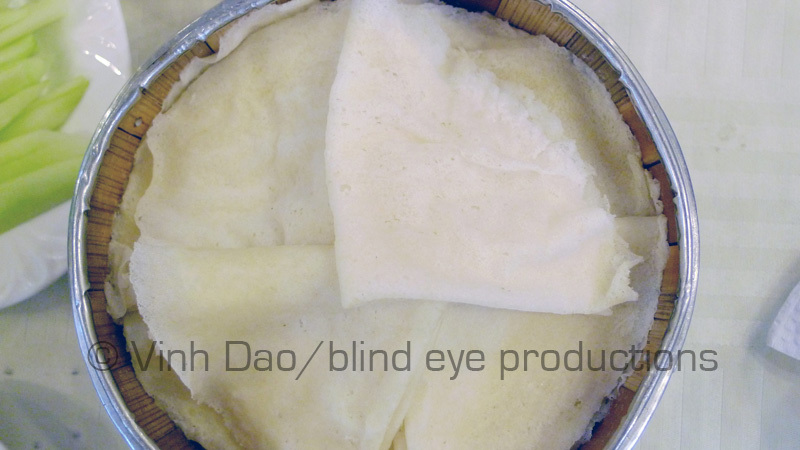 Banh Trang is translated as rice paper and is the used as the wrapping material for Bánh Cuốn or Chả Giò. 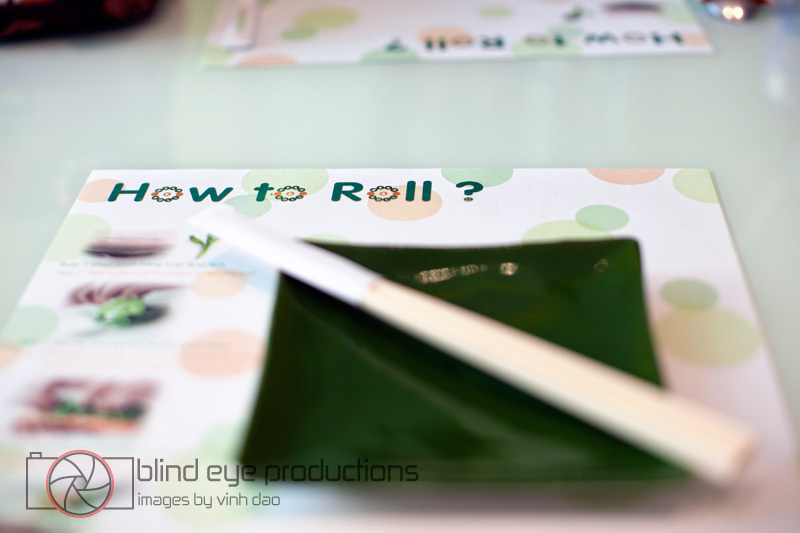 With these preparations, the banh trang is dipped in water to moisten them to make for easier rolling. 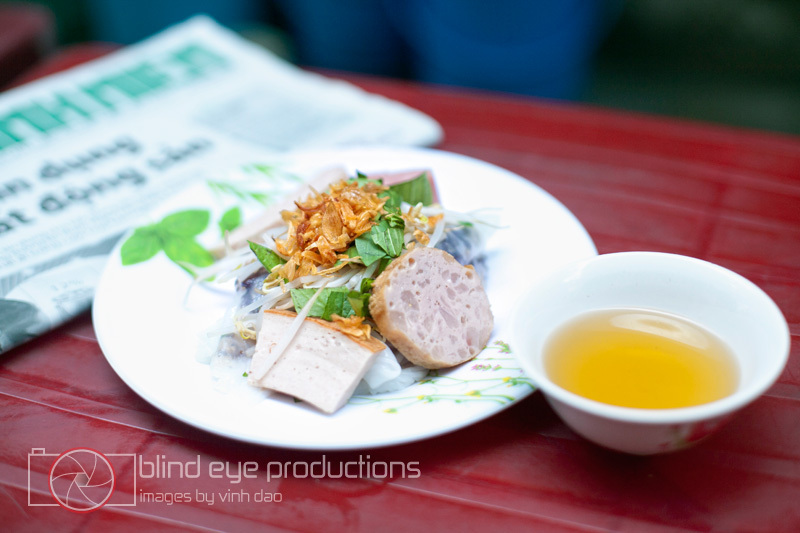 With this dish, the uncooked banh trang is placed on a grill and the ingredients are placed on top. 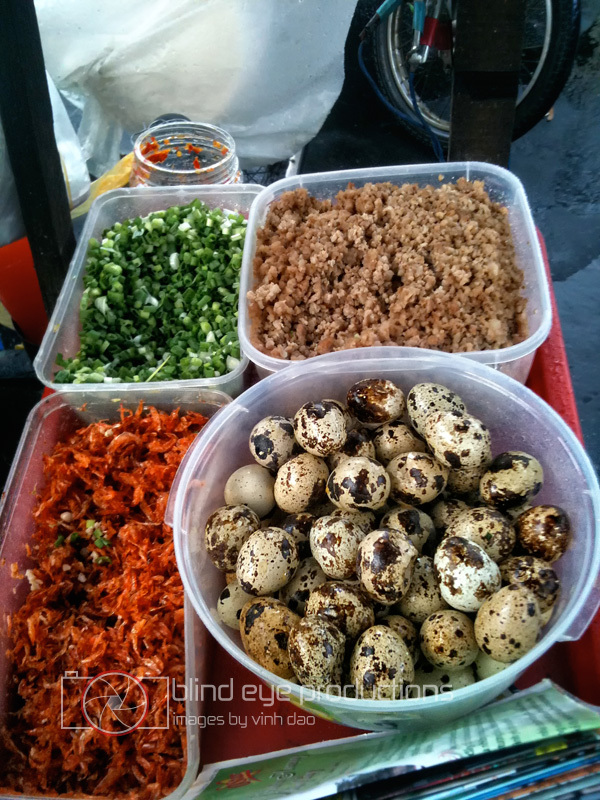 We went to several vendors and the filling is generally a mix of minced pork, dried shrimp butter, chopped scallions, and a quail egg. 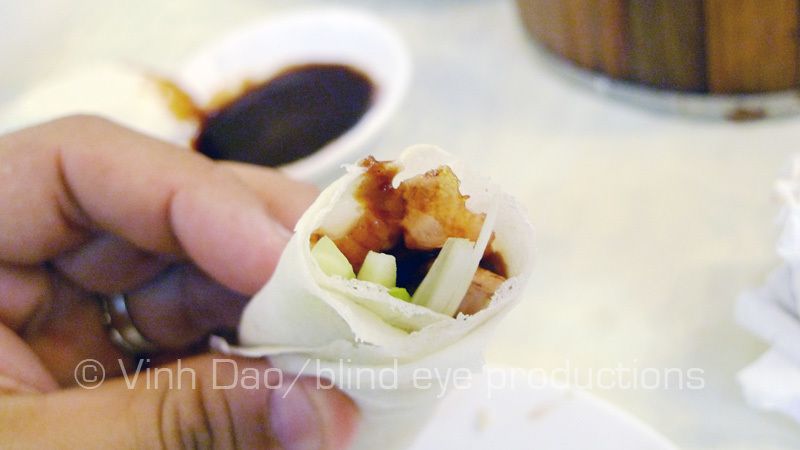 An optional squeeze of chili sauce rounds out the filling. 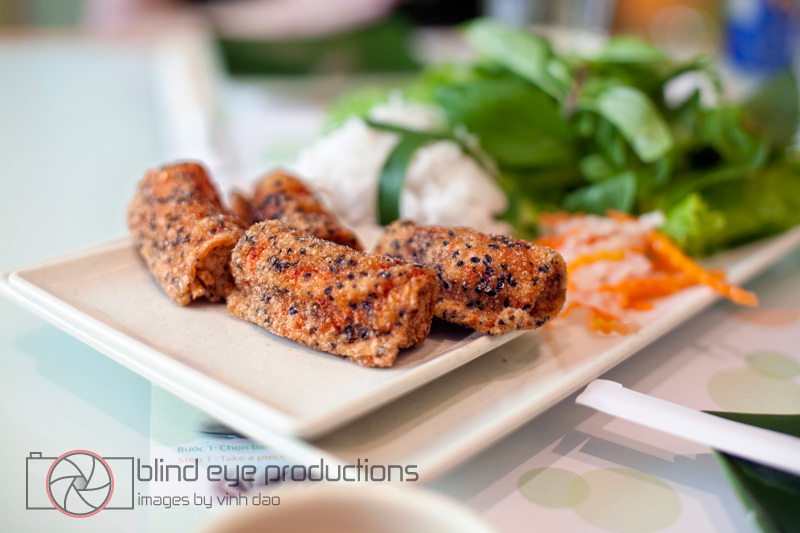 We also saw chili-sate sauce, deep fried onions and deep fried rice paper as ingredients and thought they made the Banh Trang Nuong even better! 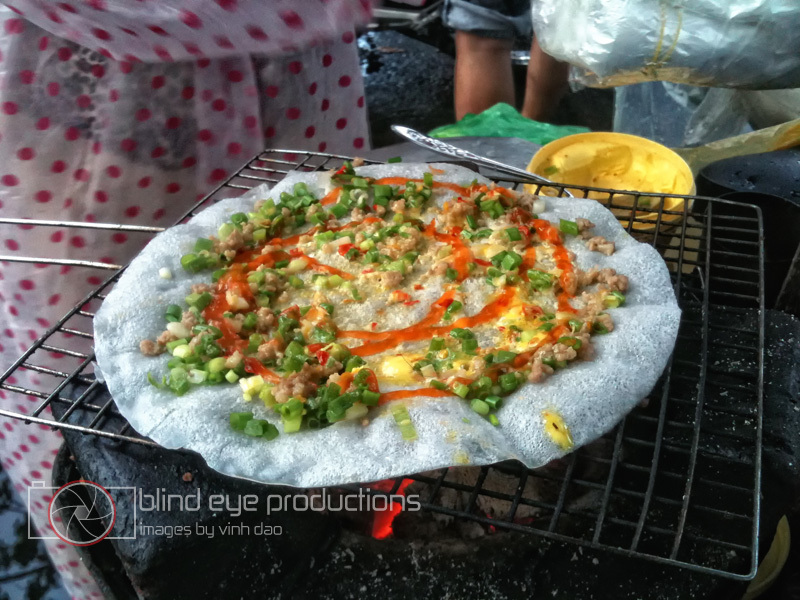 At a certain point on the grilling process which the vendor knows perfectly, the banh trang becomes a bit more pliable and is folded over. 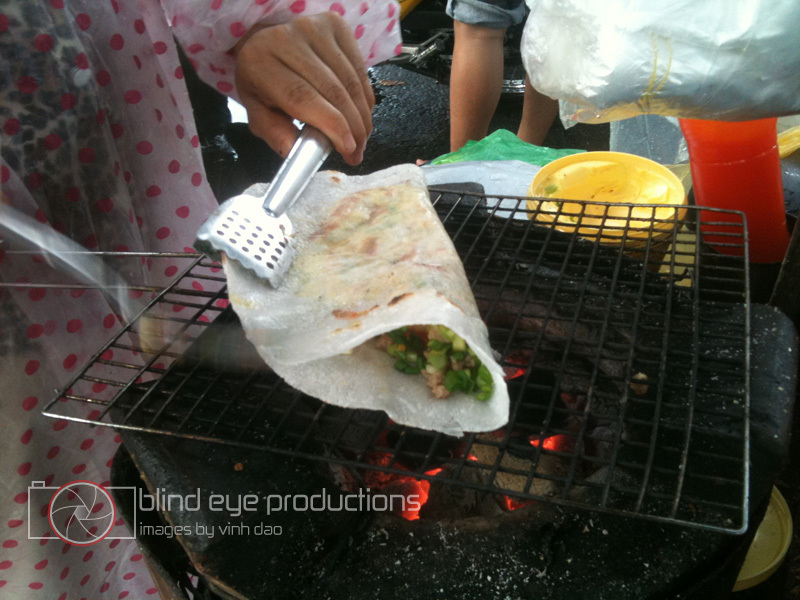 A bit more time is spent on the grill to crisp it back up and then it is served with some folded paper. 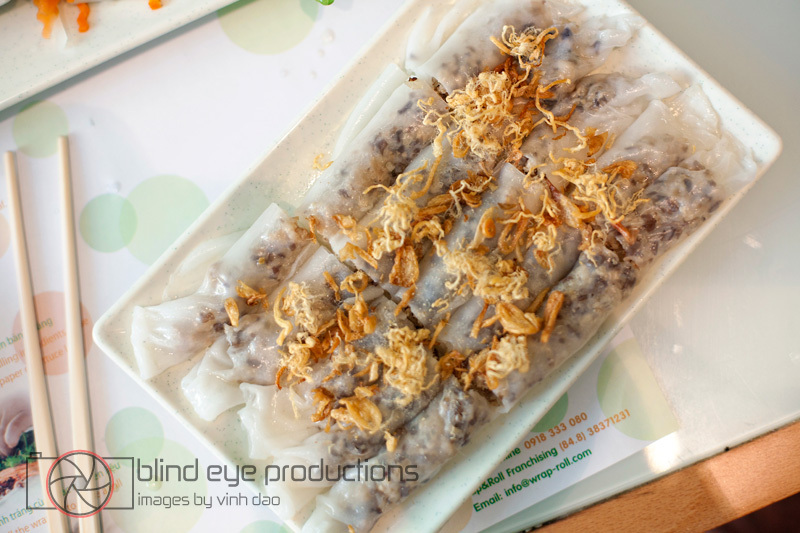 The crispiness of the banh trang combined with the gooey texture of the filling (probably because of almost done quail egg) is one of those great experiences I will take with me to the grave. 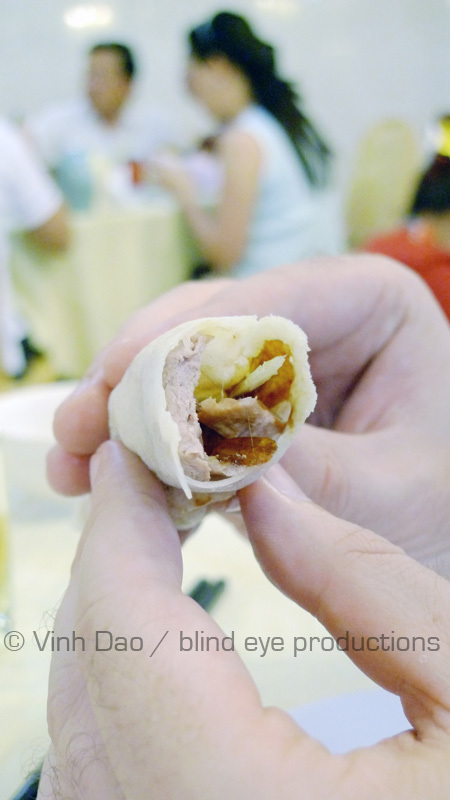 One note is that you have to eat this fast as the banh trang wrapper goes a bit limp if you leave it to cool down. 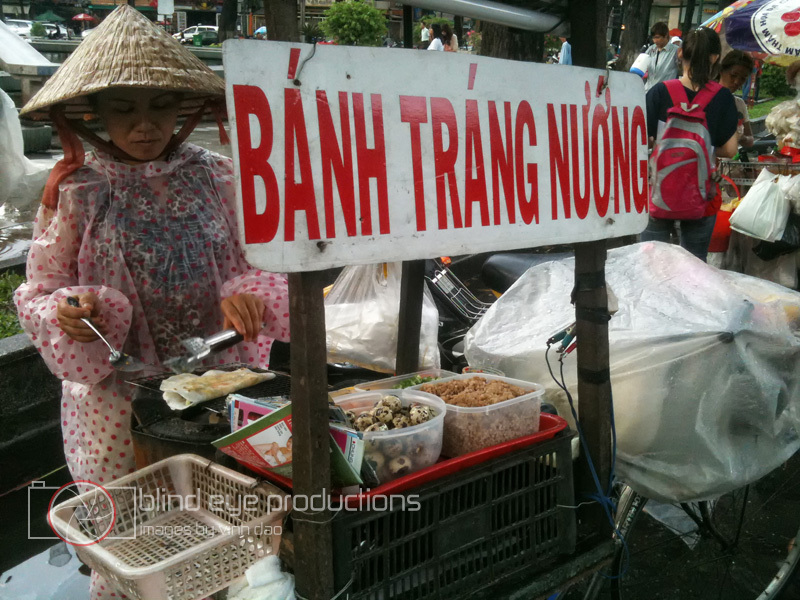 You can find Banh Trang Nuong vendors around town but we found tons of them in the park next to the Notre-Dame Basilica in District 1. 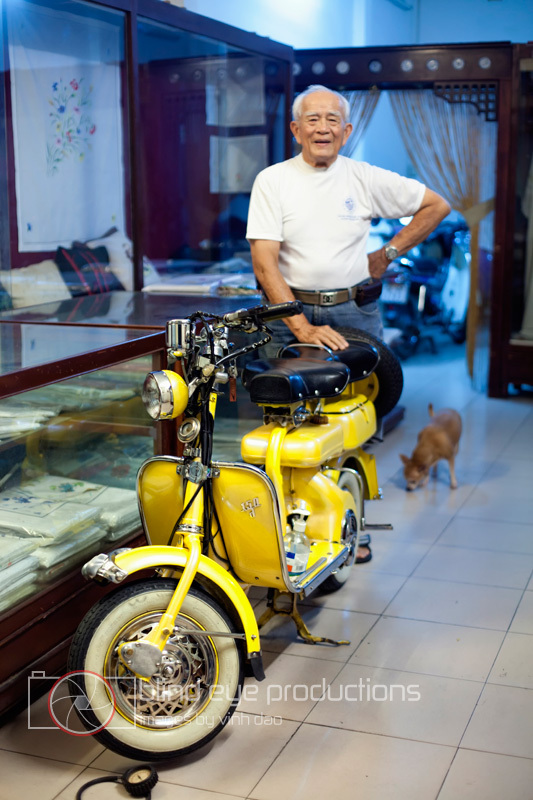 We came here for one item and upon walking into Fisherman Quay, you can see the goods proudly hanging behind glass where cooks slice and prepare the duck to order. 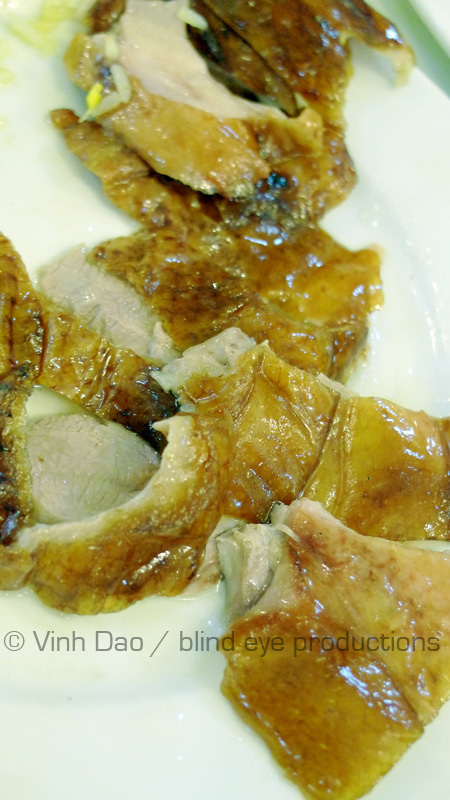 The menu at Fisherman Quay is very standard for a chinese restaurant and is reasonably priced. 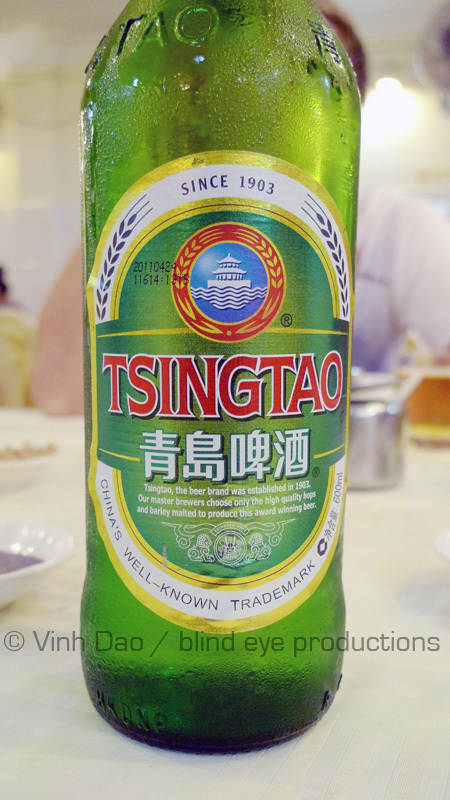 Along with the Peking Duck, we also ordered a humungous plate of fried rice and chinese broccoli with garlic and washed it all down with some frosty Tsing Tao beer. 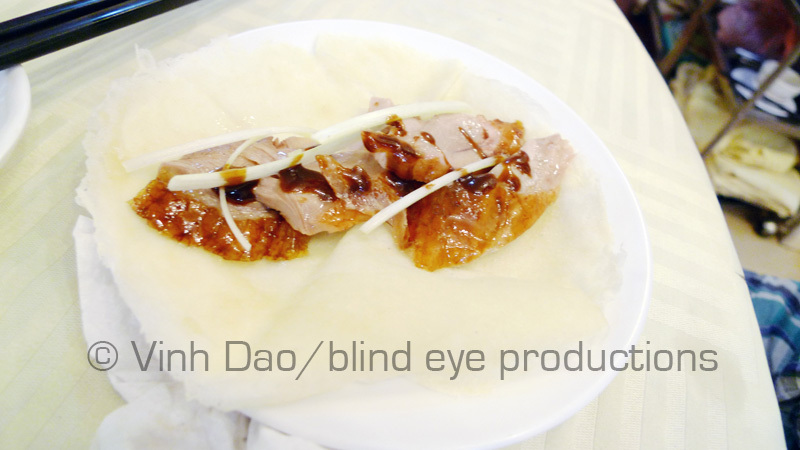 The Peking Duck was served with a saucer of hoisin sauce, pancakes and a garnish of spring onions, cucumber and pickles. 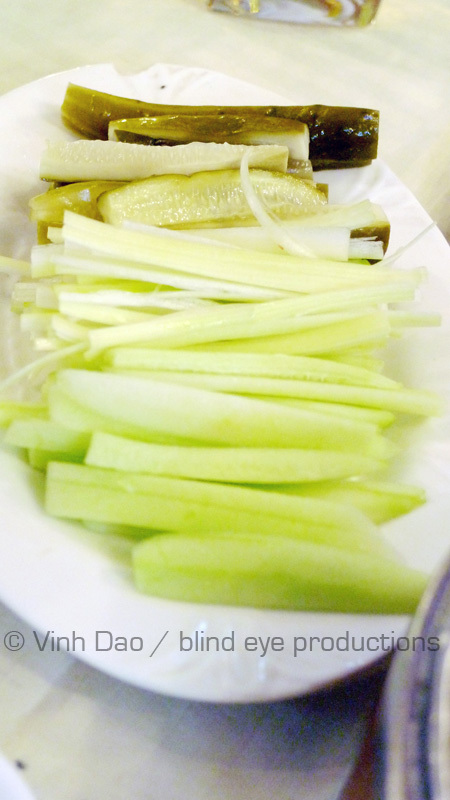 I have seen Peking Duck served with green onion and cucumber but the pickles were something I had never seen served before and was hesitant to try it in my duck wrap. I was surprised to find the pickles offered a great counterpoint to the fattiness of the duck and ended up eating the duck with the pickles and leaving out the hoisin sauce! 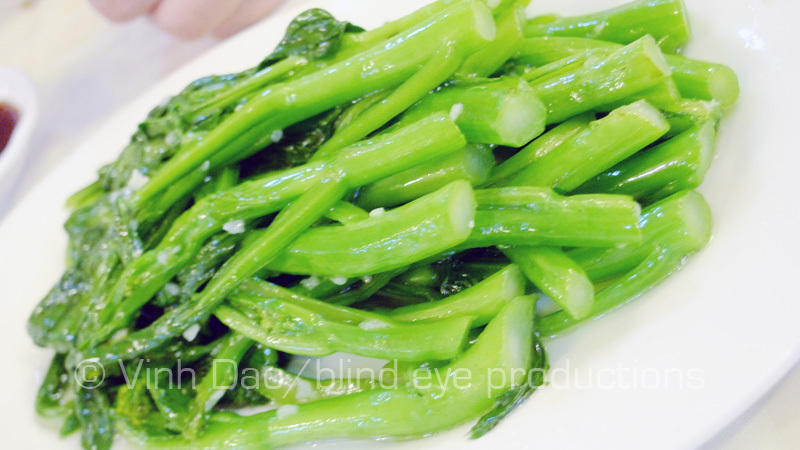 The chinese broccoli was bright green and was a great dish in itself with a great garlicky taste permeating throughout the dish. The fried rice was average and definitely needed some soy sauce and chili. 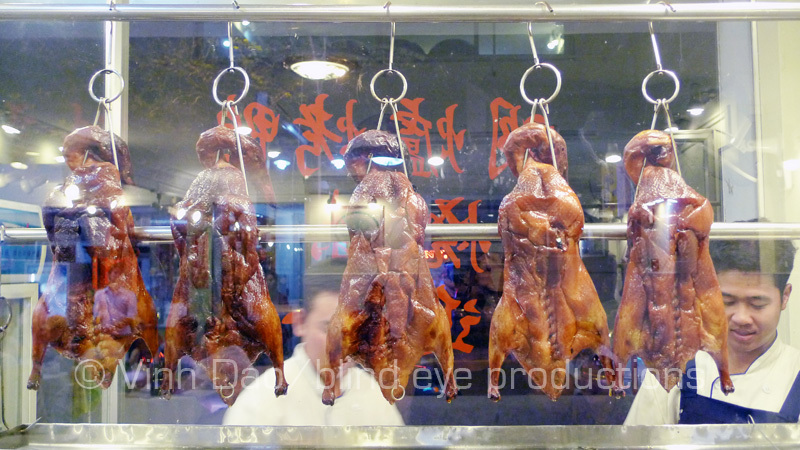 All in all, the Peking Duck excursion was successful and definitely makes me want to come back for more. From the fisherman name and the gigantic lobster statue hanging off the side of the restaurant, the first time I came to this place I was expecting nothing but seafood. 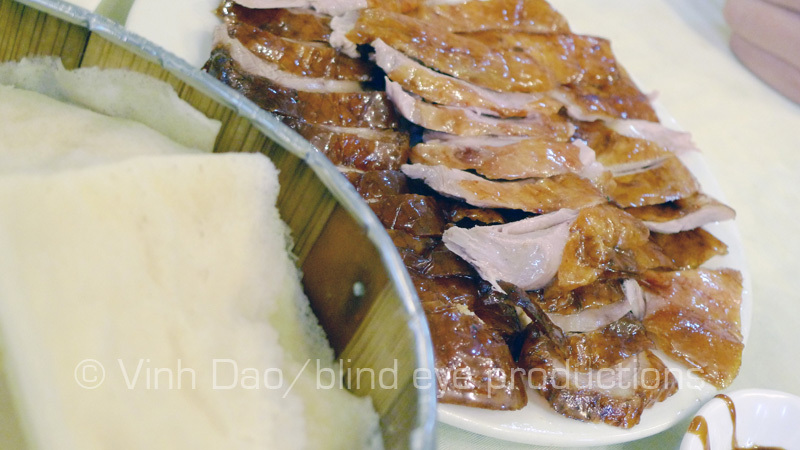 I was with a Khmer friend and didn’t really pay attention when he was ordering then, suddenly, a wild peking duck appeared. I proceeded to ignore all other food and focus entirely on the greasy duck tacos. 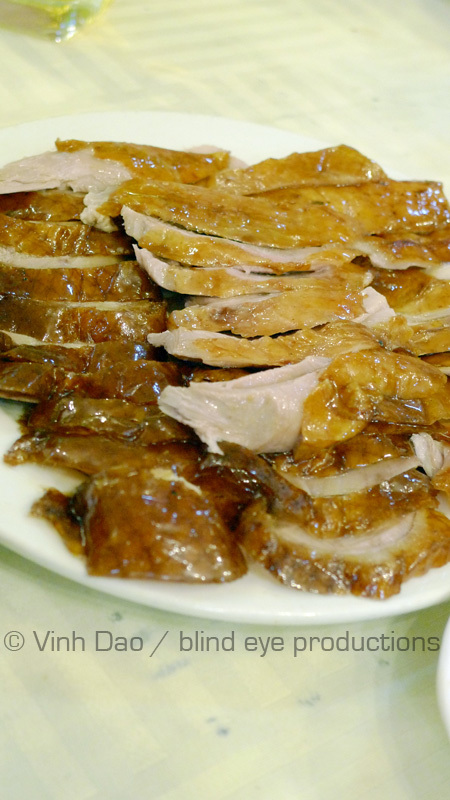 Peking Duck is one of my favorite Chinese food dishes. 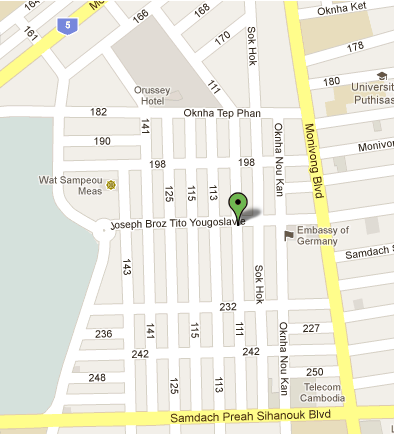 I haven’t tried many duck places in Phnom Penh but from what I have had, this place is the best. 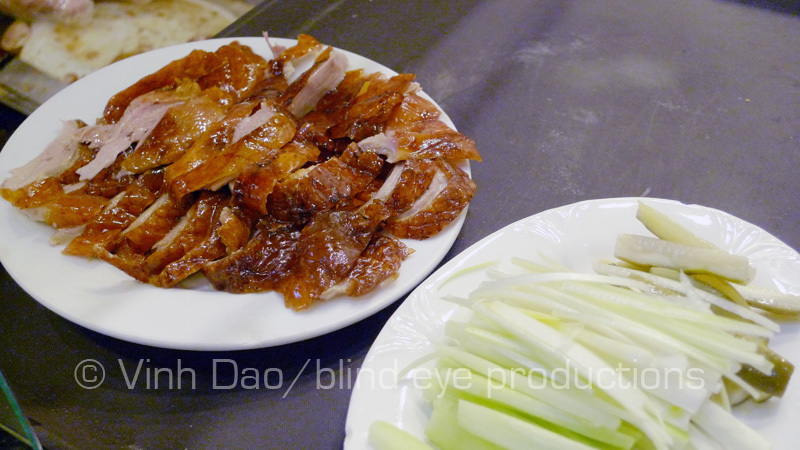 Wraps, spring onions, duck sauce, and properly cut duck (pieces of skin only). The duck is great but it could be fresher. When done well, the skin is still crispy and adds a great texture to the wraps whereas these have likely been hanging in the window for a while and the skin was a bit chewy by the time it reached our table. The rest of the menu is standard Chinese food; good, not great but reasonably priced. 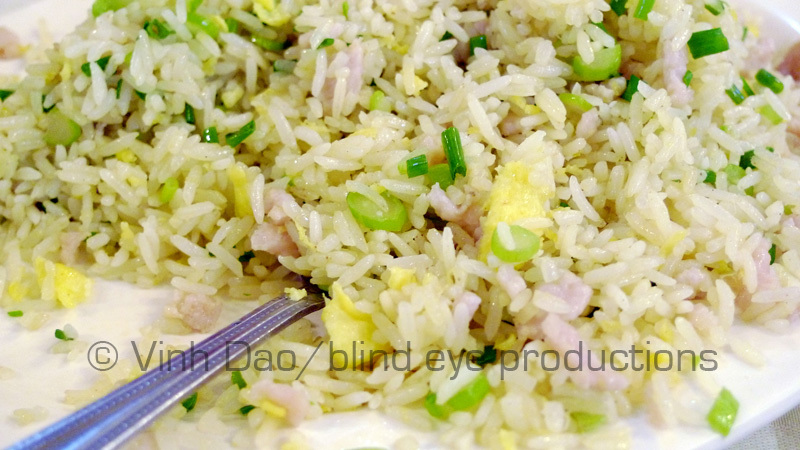 We had fried rice and chinese broccoli which was tasty. We didn’t order any seafood on this visit but the whole back of the restaurant is filled with tanks of live fish ready to be picked out, cooked and served.